So on Thursday we’re not just electing MPs for York Central and York Outer to go off to Parliament to represent York, we’re also of course electing local councillors. There’s a lot to think about, so let’s have a few quiet moments sitting in King’s Square, as I often do. Here it is pictured a few days back. I wonder if passers-by have noticed a couple of small enhancements. You may have done if you’ve paused for a rest on one of the benches. 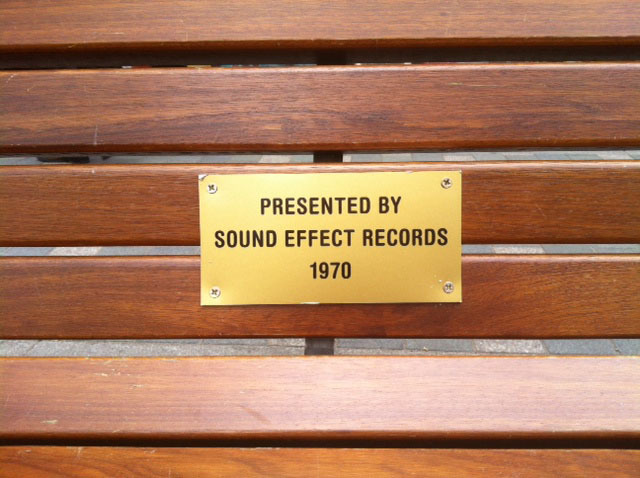 One of the benches has a new plaque. Or rather, a new copy of an old plaque. It’s a while since the King’s Square repaving and other work was completed, but it’s only recently that this plaque was attached to one of the benches. And not far away, on the raised area, an older plaque has a new gleam. In the late afternoon light on a sunny day it’s now very visible from the Petergate end of King’s Square. Someone has cleaned Paul Woosey’s plaque. Perhaps someone from Barnitt’s popped out with some Brasso, as hoped for in a page about this particular plaque some time back. I walked past one evening recently and heard a group of people in a discussion prompted by the now very shiny and easily readable plaque. Talking about where they met their friends. 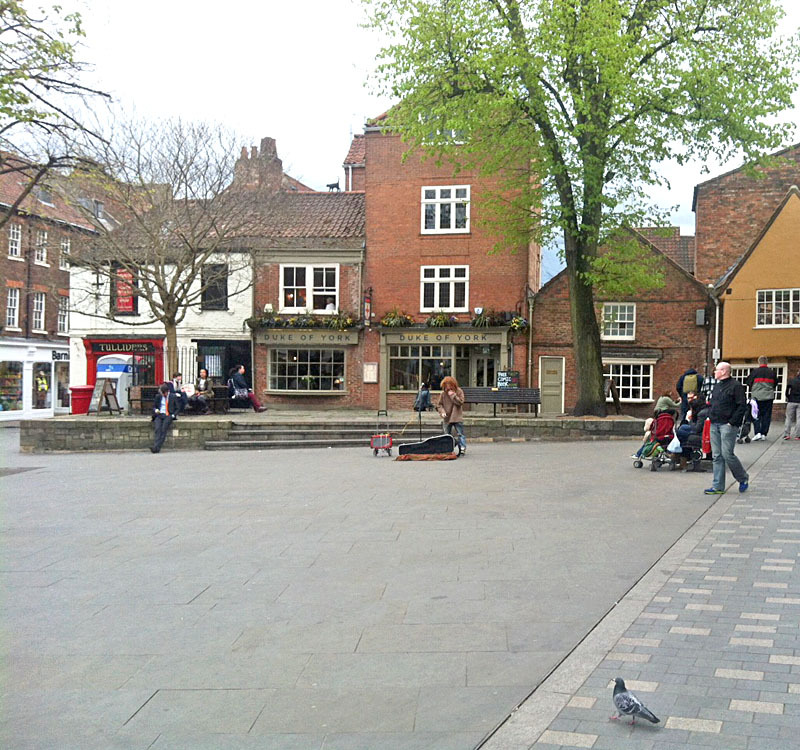 Let’s sit down on the benches in King’s Square, and perhaps have a pause for thought on the local elections, and who to vote for. I’ll be back in a bit, just off to get some fish and chips. Have a read of this page, a record of what current councillors said about the ‘reinvigoration’ of King’s Square, a while back.